It is well known that civil engineers manage to build roads under extreme conditions. In addition, these conditions might include constructing roads over water. 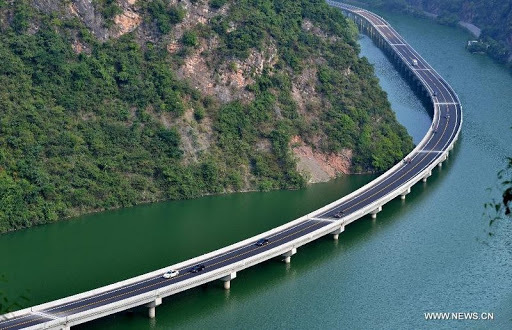 However, it is not about building bridges; it is constructing over water. Long and cold winters allow engineers to link remote places through frozen lakes. The Tibbitt to Contwoyto ice road is a 600 km road, where 500 km are built over lakes, allowing the transportation by road of materials from the mines. Loaded trucks are allowed to drive at 25kph, while unloaded trucks can do it at 60 kph. Tuktoyaktuk Winter Road is another example of Canada's winter roads, being the first public road to cross the Arctic Circle in 1979. 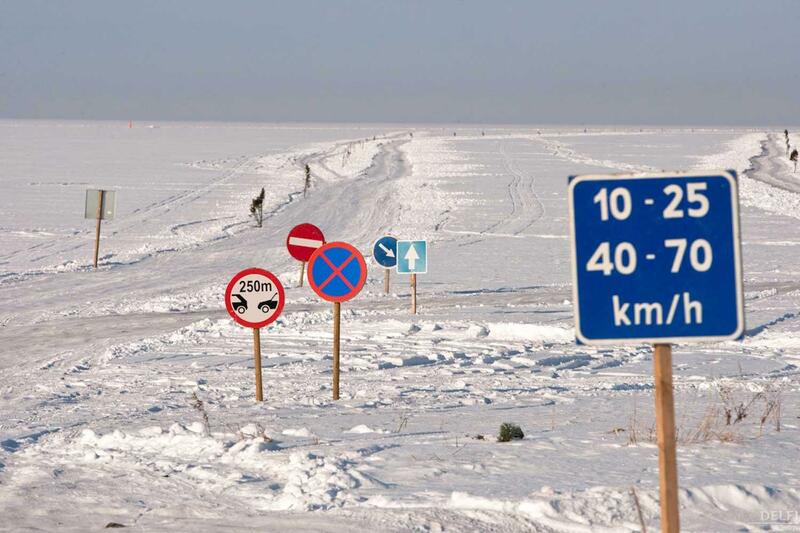 It is forbidden to drive between 25-40 kph to avoid resonance problems with the ice. 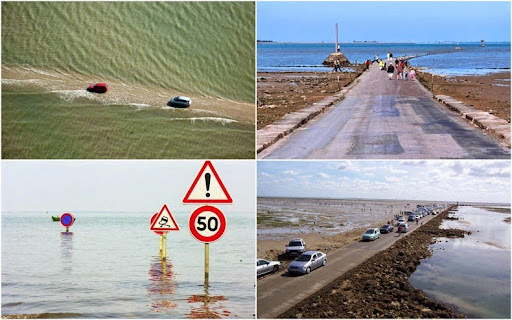 The isle of Noirmoutier in west of France, is linked to the to continental France through the Passage de Gois ou Gôa, a submersible road flooded twice a day due to the hide tide. Rods get damaged with the excessive amount of water on the road side. It needs to be maintained on regular basis and commercial linemarking you need to hire so to follow the traffic rules.